With its world-class attractions like the San Diego Zoo and SeaWorld, family-friendly dining like Corvette Diner and Waypoint Public, and terrific climate, San Diego is a perfect vacation spot for kids. There are so many amazing opportunities in the area that there’s never a lot of time at the hotel, but Hyatt Regency Mission Bay Spa & Marina is a destination in itself. There are activities for big kids, little ones, and kids at heart alike. 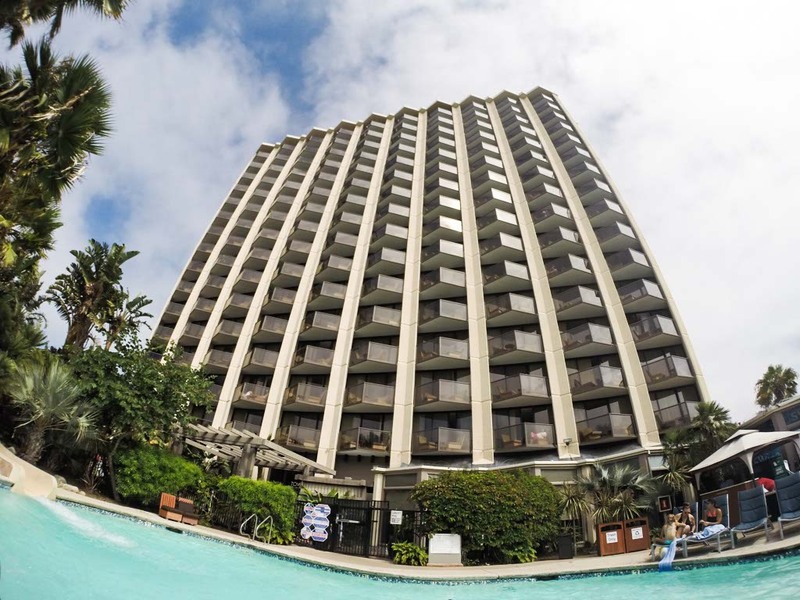 It’s the only resort hotel in San Diego with multiple water slides and it’s close to all of the best activities. Even with tickets to San Diego Zoo and SeaWorld, we wanted to spend most of our time at the hotel. The Kids’ Check-In was a welcomed addition to our arrival at the hotel. While I checked-in, Athena played in an open kids’ room next to the front desk. It had games, bright colors, and a tv. A Kids’ Check-In seemed like a no-brainer yet it’s at so few hotels. Hyatt Regency Mission Bay knows how to cater to their clientele. The view from our suite offered a direct line of sight to SeaWorld and the marina. We relaxed outside while listening to the sea lions and watching the ships come and go from the marina. We would have stayed on the patio longer if we weren’t itching to hit the slides. 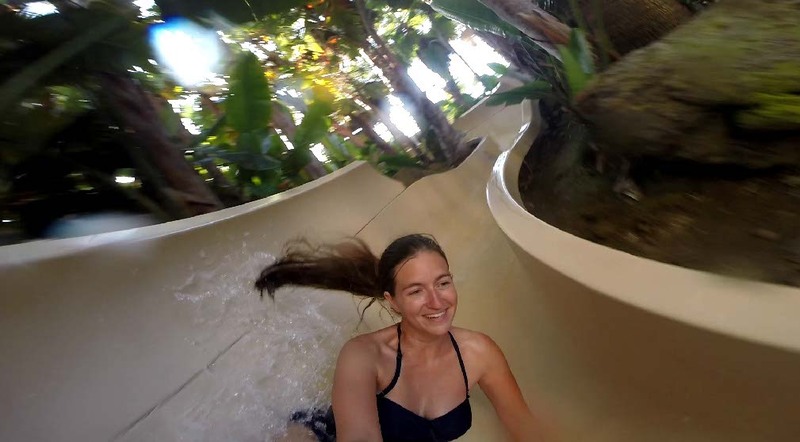 Hyatt Regency has three water slides that splash into tropical lagoon pools. I’m like a big kid and love the slides as much as Athena. She’s a great swimmer now and we spent hours racing down the side-by-side slides and splashing in the pool. We would pay extra to spend the day at a water park but it’s all included at the hotel. The hotel also has s’mores kits available for purchase, board games, spa treatments for all ages, seasonal water taxi service, and jet skis, kayaks, bikes, and boat rental available. 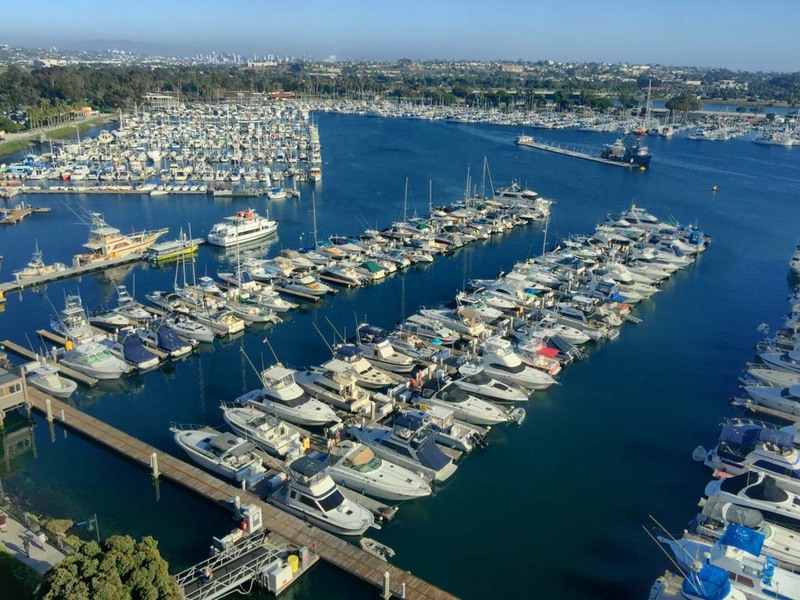 You can relax on a deck chair and watch the boats in the marina, go sport fishing, or soak up the panoramic view of the Pacific Ocean and Mission Bay from the observation decks. At Hyatt Regency Mission Bay, the downtime is as amazing as the parks. 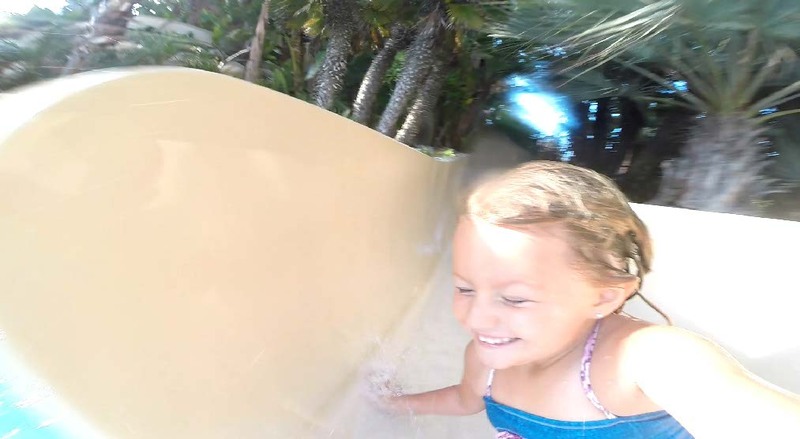 This entry was posted in California, California Entertainment, California Getaways, Travel, USA and tagged California, Family, Hyatt, Mission Bay, San Diego by lesleycarter. Bookmark the permalink. While I live in Hawai’i, I was born in San Diego and up there until age 17. If I had to live anywhere in the Mainland, it would be there. I loved the zoo! I was a country girl with horses and there were a lot of activities nearby to satisfy the country in me. I loved the beaches, Mission Park, the marina area. It’s a great city. It looks like you are taking advantage of all the benefits. Enjoy! Definitely a place I would love to stay. Lesley I well remember you following My Blog and I’ve wondered how Your Baby Daughter is doing and here She is going down a water slide! I just happened to find you on The Enigma Dragon.